Is there a difference in Tower Crane certification requirements between Hammer-Head and Self-Erecting? NO!, Once tested and certified on a Tower Crane, you'll be allowed to operate any style of Tower Crane no matter what you were originally tested on. Who administers the NCCCO Practical Examination? NCCCO has developed a Practical Examiner Accreditation Program to accredit NCCCO-certified individuals to administer the NCCCO Practical Exam. All ACTU examiners are accredited. Do I have to be in the Union to become certified? No, this program is for all crane operators in all types of industries. Does NCCCO offer training as well as testing for certification? As an independent, third-party organization, NCCCO does not offer training. In fact, NCCCO's accreditation as a certifying organization by the National Organization for Competency Assurance (NOCA) is dependent, in part, on this fact. However, All Crane Training USA does provide training and testing. What is the National Commission for the Certification of Crane Operators? The National Commission for the Certification of Crane Operators (NCCCO) is an independent not-for-profit organization formed to establish and administer a nationwide program of certification for crane operators. The purpose of NCCCO is to set standards for the knowledge and proficiency required for the safe operation of cranes, and to develop valid and reliable examinations to test that knowledge. Why is the certification of crane operators important to our industry? Accidents on the construction site cost us all dearly—in serious injury, property damage, lost time and litigation. 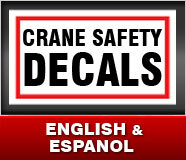 Safety is one of the most important issues we face and proficiency of crane operators is key. Standardized assessment and certification of the skills and knowledge required for safe crane operation will improve our ability to enhance safety. How will certification improve safety in crane operation? It's been consistently shown that widespread training translates into fewer accidents, reduces the number of fatalities and improves overall safety records in construction. The Province of Ontario instituted a certification program in 1979 which resulted in more thorough training of crane operators to meet certification requirements with precisely these results. There is every reason to believe this pattern will be repeated in the U.S.
Why was it necessary to form a separate organization to administer the testing? A fair, objective, independent assessment of the skills and knowledge of crane operators is critical to realizing the long-term benefits of Crane Operator Certification. It is important to involve representatives from all segments of construction and general industry, with no one special interest taking precedence. For these reasons, NCCCO was formed and contracted with professional credentialing organizations to help develop and administer tests. How does the work of NCCCO relate to the ASME/ANSI B30 and B30.5 standards? NCCCO's examinations were developed according to ASME/ANSI guidelines to demonstrate fair, objective efforts. In addition, several NCCCO committee members are actively involved with the B30 and B30.5 crane standards development. NCCCO is also in complete compliance with OSHA requirements regarding the competency of crane operators. How does certification benefit crane operators? A sound program of training and certification provides operators with the confidence they are equipped to safely operate sophisticated cranes in a variety of situations. The professional designation as a Certified Operator also assures employers of a proficient worker, without relying on subjective recommendations or judgment. Several states and cities already have licensing. How is this different? Licensing by itself does not ensure the operator possesses the necessary skills and knowledge to safely operate a crane. Some programs do not require training or testing. NCCCO views its Certification Program as a positive supplement to current licensing programs which will further enhance safety. How do I get set up as an official NCCCO Test Site? You should review the requirements in the Written Examination Test Site Coordinator Handbook, and complete the Test Site Application Form. Requirements include: specified seating arrangements, good lighting, adequate heating/air conditioning, nearby rest rooms, etc. Why does NCCCO require a Chief Examiner to administer the NCCCO test? A Chief Examiner administers all NCCCO test administrations for two major reasons: to guarantee the security of the test, and to ensure the test is administered in the same way at all times, at test sites across the country. NCCCO and International Assessment Institute (IAI) maintain meticulous control over the storage and distribution of the tests. Standardization of test administrations nationwide is vitally important for NCCCO’s test to remain a proper, fair evaluation of an operator’s proficiency. How far ahead can I schedule a test, or apply to take a test? There's really no limit on how far ahead you can set up a test or, for that matter, apply to take the test if you are an individual candidate. There are deadlines in place, however, to allow NCCCO time to process both of these applications. Confirmed NCCCO Test Sites need to give at least four (4) weeks notice prior to the day they plan to test on. Candidate applications need to be received by International Assessment Institute (IAI) no later than two (2) weeks prior to the test date. 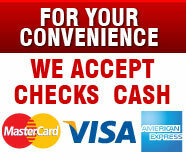 Any candidate application received within two weeks of the test date is subject to a $50 late fee. However, there is an absolute cut-off date of four (4) business days prior to the test, after which no applications can be processed. 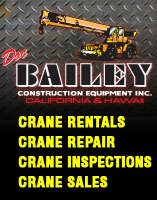 at least 1,000 crane-related hours of experience within the five (5) year period of certification. Candidates who do not meet this requirement, or who did not take the Practical Test as part of their original certification, will be required to retake and pass the Practical Test. Can NCCCO certification be withdrawn? • Period of certification exceeded without renewal. • A candidate falsifies any information on any documents submitted to NCCCO or its agent. • A candidate’s medical certificate expires. • There is evidence of culpability in an accident during the certification period. If I already have my operators trained, why do they need certification? Training is precisely what the NCCCO program is intended to encourage. However, without an independent assessment of an operator’s knowledge, you can never be sure either of the quality or the effectiveness of the training. Not all people learn in the same way, or at the same pace. Certification through NCCCO's third party process provides objective and standardized verification that training to a nationally recognized curriculum has been effective. There are other certification programs around, what makes NCCCO’s different? The concept of certification is often misunderstood, and certainly not everyone who uses this term does so in the same way. However, an independent professional organization, the National Commission for Certifying Agencies (NCCA), has established standards which all those accredited by NCCA must meet. NCCCO’s program has been accredited by NCCA, which is an employer’s guarantee that the examinations have been developed, verified, and administered according to nationally recognized professional standards. Requirements for NCCA accreditation include that the organization which certifies be separate from the company whose employees it is evaluating, and also that it conduct no training of any kind. This is what essentially defines "third-party" testing, and is a cornerstone of the NCCCO program. It was also a key element in OSHA's decision to formally recognize NCCCO in its Partnership Agreement signed in February 1999. The NCCCO program was established as a voluntary program, by industry, for industry and continues to receive support from industry. The recognition of NCCCO by OSHA is still as a voluntary program, but recognizes NCCCO certification as a means of being in compliance with OSHA's requirement for a qualified operator. Remember, certification may not be mandated, but training is; OSHA requires all employees be trained for the work they do. Of course, when an employer makes NCCCO certification a job requirement, it effectively becomes "mandatory." Is an oral test given as an option to the written test for those operators with reading or comprehension problems? Thus, while NCCCO will make every accommodation to provide access to any candidate to take the test, certification can be available only to those candidates who comply with the provisions of B30.5. Candidates who do not meet the requirements for certification can still take the test, however, and receive their scores (but not a card/certificate). What consideration is made for an uncertified apprentice getting "seat time" operating equipment if certification becomes mandatory? While candidates without at least 1,000 hours crane-related experience cannot be certified by NCCCO, they may take the test, and receive their score reports. Providing they meet medical requirements, this confers a status of "NCCCO Eligible". This interim status allows individuals entering this industry, operating under supervision, to build their hours to the point where they meet NCCCO experience requirements and can move forward to certification. Are there any exceptions to the fifteen (15) candidate minimum for the written examination? NCCCO will test any number of candidates at any location meeting the requirements of an official NCCCO Test Site. However, there is an additional fee for any test site with less than fifteen (15) candidates, as follows: 10-14 candidates, $200 site fee; 1-9 candidates, $300 site fee. To whom are candidate score reports released? While the certified status (pass/fail) is a matter of public record, the actual scores are the legal property of the candidate alone. Therefore, while NCCCO can release the pass/fail status of any candidate on request, specific authorization by the candidate is required before his/her scores are released to a third party. Many employers and Test Site Coordinators regularly request candidate pass/fail reports; others solicit authorization from candidates to request actual scores. Either way, NCCCO has established simplified documentation to expedite this process. If I have already been certified by NCCCO, do I have to take the Practical Exam? On January 1, 2000, all candidates wishing to be certified through the NCCCO program had to pass the Written Exam and the Practical Exam, as well as meet the established medical criteria. Operators already certified under the previous "written-exam-plus-2,000 hours experience" process do not have to take the Practical Exam until they re-certify. What are the requirements for an operator to get "grand fathered"? NCCCO does not "grandfather" any operators. The NCCCO examination is a test of knowledge and skills, not a test of experience. Experience can be good or bad, relevant or irrelevant, general or specific, and should not be used by itself as an indication of proficiency. Most field mechanics/technicians have small hoisting devices on their service trucks, typically in the 4,000 - 10,000 pounds capacity range. Do these mechanics/technicians need to be certified? The issue of whether certification is required is a question for the employer. But note that the B30.5 mobile crane standards covers all mobile telescopic cranes above 1 ton capacity. OSHA requires all operators of equipment be trained in their safe use. NCCCO certification can serve as an effective, legally-defensible verification of that training. What happens if my employer requires proof of my NCCCO certification, but I have lost my NCCCO Card or Certificate? If you need proof of certification (for example, to show to an employer that has made NCCCO certification a job requirement), and you do not have your card available, NCCCO's staff office can help. Call NCCCO at 703/560-2391 and ask for a Letter of Certification. Upon verifying your certificant status, we will provide you with a letter to your employer indicating that you are certified, and in which Specialty Areas. This also applies if you have become certified in an additional Specialty after having been certified initially. Volunteers from all sectors of industry are always welcome. In particular, assistance is appreciated by the Written Exam Management Committee and the Item Writing Task Force. NCCCO operates an annual item writing program. If you would like to participate in the work of the Item Writing Task Force call the NCCCO office for information: 703/560-2391. How do I add specialties to my NCCCO card? All requests to update certification cards with additional specialties must be submitted to IAI with a fee of $25.